PERSONALIZED TO YOUR NEEDS! We recognize that Dental Assistants employed at different offices require training in different expanded functions. Students can choose from a selection of Dental Assisting Expanded Functions courses based on individual need. Clinic evaluations will be conducted at ISU Pocatello Family Dentistry or at student’s place of work. 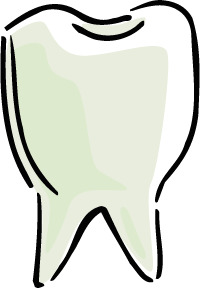 Note: Dental office final exam time is in addition to in-class time. Prerequisite: Students must have completed a Dental Assisting Fundamentals course successfully and have worked in a dental office for six months and 600 hours to be eligible for expanded functions courses. A letter from the employing dentist (on letter head) must be submitted prior to the course, verifying the person is employed by the dental office and confirming length of employment. Increased employability with additional skill sets. Meets individual needs. Students can sign up for individual courses or all courses. Convenience: Evening hours for classes held on campus. Dental offices can call to arrange onsite courses with a minimum number of students in the following counties: Bannock, Bingham, Caribou, Franklin, Oneida and Power. Per Idaho Board of Dentistry requirements, students are required to provide proof they have taken a DA Fundamentals course and proof of six months employment in a dental office. Proof must be provided at the time of registration. If planning on attending the Use of a High Speed Handpiece to Remove Orthodontic Cement or Resin, you MUST work for an orthodontic office. 1921 - 02 04/25/2019 06:00 p.m.
1921 - 03 05/07/2019 06:00 p.m.
1921 - 04 05/14/2019 06:00 p.m.